Our affordable and reliable electricians are strategically located within Midrand and are therefore ready to respond to your problem immediately. From installation of heavy electrical equipment and industrial lighting and cooling systems to basic wiring and fuse problems, we are the right company for every job. All our electrical contractors in Midrand are highly trained to handle all aspects of industrial and commercial work and seek to resolve every issue quickly and effectively. We operate in accordance to all nationwide standards and all our affordable services are of the highest quality. If you need emergency services, our Joburg team will arrive on the scene on time and work on your issue in order to resolve it within a small amount of time. If you need inspection or any other electrical service later, give us a call and we will schedule an appropriate date. 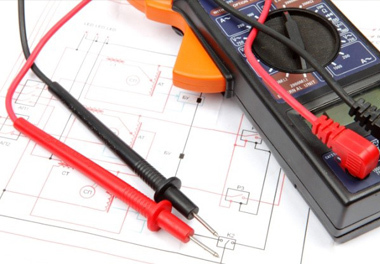 No matter the size of task that you want to accomplish, our qualified electricians have a ready solution for you. We offer affordable repair and renovation services for households and businesses. With our friendly and professional Midrand electricians, all your electrical issues will be sorted in no time. Give us that all-important call today on 011 568 0908 and our master electricians will be there to help fix the problem.